Here at Owl Ridge Equestrian Center, we are committed to not only providing the ultimate care for your horse through our boarding & lesson program, we also are committed to helping the owner of the horse with any riding issues they may be experiencing. This would include, but not limited to, bucking, rearing, refusing jumps, not responding to commands, etc. Owner and Master Trainer Will Durden has the education and knowledge to correct and fix these issues with your horse. No issue is too large or too small for him work with. If you feel you’re stuck in a situation with a horse that has issues and they are not giving the response you need when you are on its back, you need to call Will at 470-328-9800 or you can email him at william.g.durden@owlridgeequestrian.com. Also, just to give you an idea of what Will is able to work with, you definitely want to check out this YouTube video. 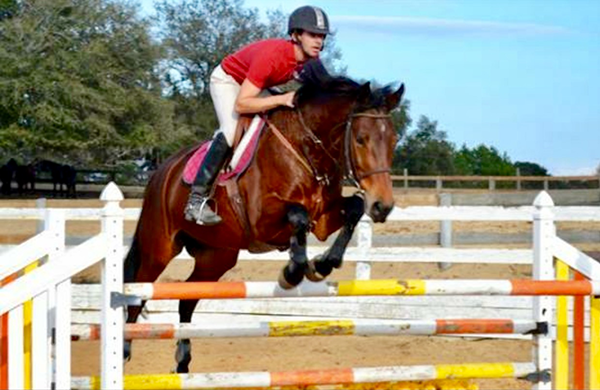 This horse had a history of bucking the rider off, and the owner decided to put him up for sale. This did not stop Will from proceeding with the purchase of the horse because he knew it could be corrected with his training program. The horse ultimately wound up failing the vet check so the sale fell through, but the video still gives a good indication of what Will is able to work with.